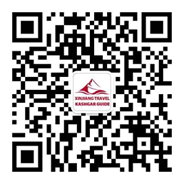 It has been 6 months since we completed the Xinjiang Silk Road tour with Kashgar Guide. The tour was unforgettable and the local knowledge and friendliness of all the guides really added value to the tour, can only recommend Kashgar Guide. Thank You! Michael and Kirsten from New Zealand! I used Xinjiang Travel for 2 trips while I was in Kashgar, to Karakul Lake and to Shipton’s Arch. I enjoyed both trips and found everyone at Xinjiang Travel to be very helpful, professional, and friendly. I would certainly recommend them to other travelers. We have had a wonderful stay in Kashgar in July. Welcomed at the airport in a big car (we were 4 with luggage’s), the guide (Tudaji) was a very nice one, speaking very good English and knowing much about his country. We went to the lake Karakul (400 km and 9 hours driving back and forth) which is worth to be seen. Xinjiang Travel was perfect. Thanks to Imam. I highly recommend Imam Hussein’s services. He and local guides provided a customized tour of extraordinary diversity, and current– as well as historical–highlights. I began in Lanzhou (since I’d already been to Xian) and did roughly the 13-day itinerary with an extra day in Kashgar. Went from overnight trains (an experience in themselves); to camping on the roof of a Uyghur family home in Tuyuk village near Turpan to escape the heat; to cozy stone house with stove at Karakul Lake on the KKH highway (instead of the scheduled yurt) because the Kyrgiz family knew it was going to snow and insisted on keeping us toasty warm. Woke to fried eggs and yak butter tea, and got back to Kasher in time for the Sunday livestock market (minus the morning tour buses and crowds of tourists). Highly recommend getting to Urumqi in time for the Loulan mummies and various ethic displays in the new regional museum. Camping experience recommended for the overnight trains and home stays. Imam was extremely gracious, patiently responding to my dozens of emailed questions promptly. Imam and local guides were very accommodating to my own particular interests. I had a solo tour with my own guide and driver. 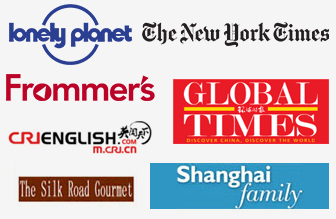 Price was extremely competitive with other Kashgar-based companies listed in Lonely Planet. Imam was clearly the most professional from start to finish. I’d do it again in a minute. Thank you very much for the wonderful experience, we are absolutely impressed of the nature and professional guided tour. We can highly recommend this tour to everyone. We would like to thank the driver Alim who was driving very carefully, and we felt very comfortable. Our guide Tudajim was very competent and friendly. A big THANKS to all of you for making such a experience possible to us.